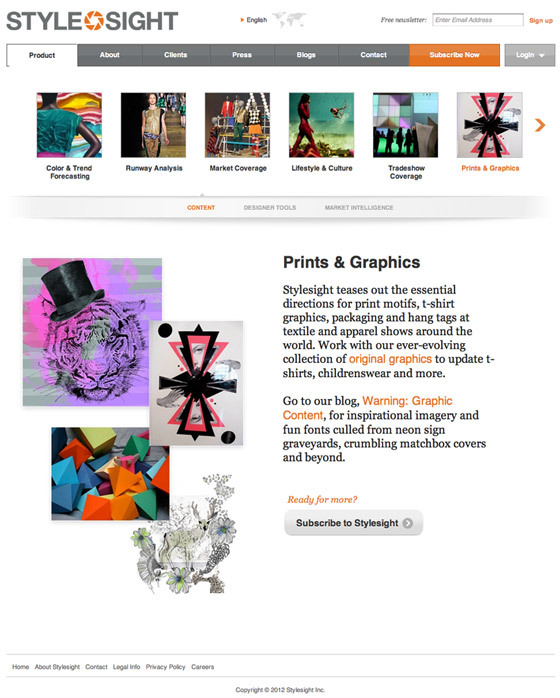 PATTERNPRINTS JOURNAL INCLUDED IN STYLESIGHT PREFERRED WEBSITES! 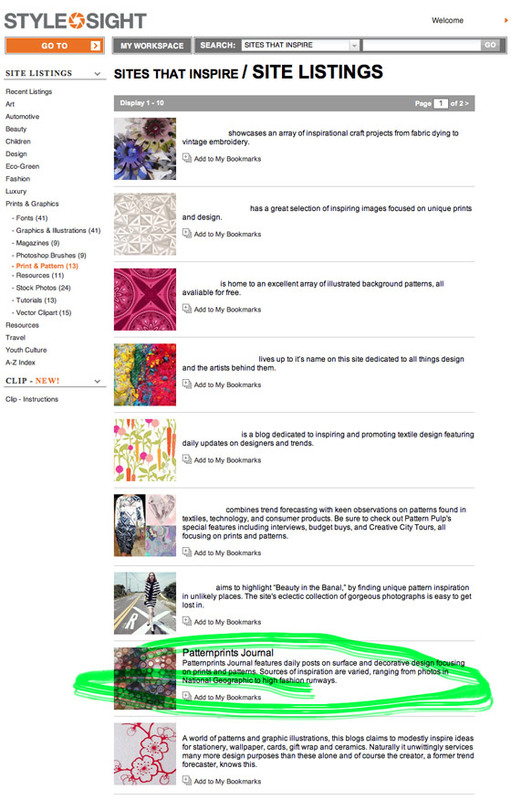 Many thanks to Stylesight, the industry-leading content and technology provider for professionals in the style, fashion and design sectors, for including PATTERNPRINTS JOURNAL in its selection "SITES THAT INSPIRE"! 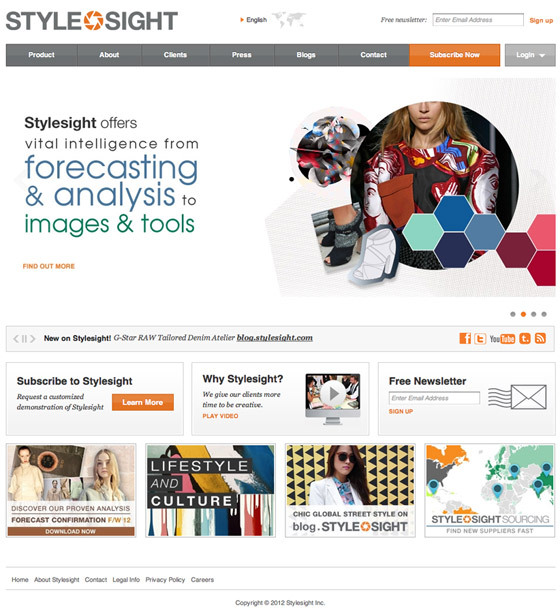 Stylesight is one of the undisputed world leaders in "trend forecasting", analysis of trends and lifestyles, cultures, marketing and markets. Besides the official site (with a lot of resources and contents) to which is entered through subscription, Stylesight also has an interesting blog and a tumblr website, rich of ideas, images and inspirations.